Posterior maxillary tooth loss frequently coincides with loss of available bone volume for implant placement due to both atrophy of the residual crestal bone and enlargement of the maxillary sinus. The longer the teeth have been missing, the greater the loss of osseous structure that may house implants. This necessitates augmentation of the maxillary sinus to provide adequate bone to place implants. Maxillary sinus augmentation with various bone graft material have become routine treatment over the past 38 years. Various materials have been utilized including allografts, xenografts and synthetics with varying levels of success as measured by the amount of graft maturation and its density to support implants following healing. As the use of autogenous blood products has increased in dental surgery for both soft and hard tissue applications, those materials have expanded into use when augmenting the sinus. As blood biology has grown in use with regard to grafting using the patients own blood to supply growth factors and other patient derived products, grafting has improved the clinical results we are able to achieve. These blood derived products have been mixed with packed osseous graft materials to help improve the quality and quantity of the resulting graft following healing. The case presented in this article demonstrates graft maturation as evidenced by density can be achieved using CGF alone with no added osseous graft materials. The benefit of this approach is no issues with the potential of a patient reaction to the packaged osseous graft material that are typically used and cost of treatment is reduced as packaged products are not utilized in the sinus augmentation procedure. Loss of teeth in the posterior maxilla is frequently met with a loss of available bone volume for implant placement due to both atrophy of the residual crestal bone and enlargement of the maxillary sinus. The longer the teeth have been missing, the greater the loss of osseous structure that may house implants. This necessitates augmentation of the maxillary sinus to provide adequate bone to place implants. Maxillary sinus augmentation with various bone graft material has become routine treatment over the past 38 years. Transalveolar sinus floor elevation also referred to as subantral augmentation, was first described by Boyne and credited to Tatum as the innovator of this technique. Tatum, later published on sinus augmentation and the technique became routine in the management of deficient posterior maxilla when implants were to be utilized. Numerous studies have reported highly successful implant survival rates when placed into an augmented sinus.,, Various materials have been utilized including allografts, xenografts, and synthetics with varying levels of success as measured by the amount of graft maturation and its density to support implants following healing. As the use of autogenous blood products has increased in dental surgery for both soft and hard tissue applications, those materials have expanded into use when augmenting the sinus. Platelet-rich plasma (PRP) was the first blood-derived products utilized in dentistry and were subsequently combined with osseous materials to create grafts for sinus augmentation. Yet, meta-analysis indicated no influence of PRP combined with osseous graft material on bone formation and implant survival in maxillary sinus augmentation. The next generation of platelet concentrates, platelet-rich fibrin (PRF) allowed simplified processing and without biochemical blood handling. Sinus floor augmentation with PRF combined with freeze-dried bone allograft reported a reduction of healing time before implant placement. Another study demonstrated histology results collected after 106 days where PRF was added to the graft material constituted of lamellar bone tissue with an interposed stroma that appeared relaxed and richly vascularized. This was extrapolated to use of PRF as the sole sinus augmentation material without combining it with any osseous graft material. The stem cells present in the PRF demonstrated that sinus elevation using PRF alone may promote natural bone regeneration to support implants either placed simultaneously or in a delayed approach. Concentrated growth factors (CGFs), like PRF, do not require the addition of bovine thrombin or other anticoagulants and the centrifuging procedure compares with PRF. Unlike PRF however, CGF uses variable rpm from 2400 to 2700 rpm to separate cells in the venous blood, resulting in fibrin-rich blocks (clots) that are much larger, denser, and richer in growth factors (GFs) than PRF. This has shown better regenerative capacity when using the fibrin-rich block. The resulting fibrin block is of a higher quality due to the concentrations of fibrinogen (FG), factor XIII, and thrombin. Factor XIIIa, activated by thrombin, cross-links the fibrin clot increasing stability, strength, and protection against plasma mediated degradation. Clinically, the clot has high tensile strength, adhesive strength, and a decrease in hemostatic time. A red phase of concentrated red blood cells and platelets is also obtained which may be mixed with either autogenous or other osseous graft materials for improved handling of the graft to be placed, especially in large volumes that would be used in the maxillary sinus. Essentially, CGF is an upgraded version of PRF with a strengthened fibrin matrix, boosted GFs, and cytokines. One study when comparing the addition of PRP, PRF, or CGF reported significantly increased bone formation at the 6th week. Bone mineral density and volume were greater in the experimental group than in controls, but no comparison was made among the experimental groups. Histomorphometric examination revealed that more bone formation was seen in the experimental groups compared to the control group. This supports that blood-derived products can and do enhance grafting results and should be considered grafting especially large areas such as the maxillary sinus. Lundgren, first reported radiographic bone reformation in the sinus with membrane elevation alone in humans. Palma demonstrated histologic evidence verifying new bone formation in the monkey's sinus, with no differences on new bone formation, implant stability, and bone-implant contacts between two groups with and without adjunctive autogenous bone graft. Sohn et al. reported that fibrin-rich blocks with CGFs acts as an alternative to bone grafting and can be a predictable procedure for sinus augmentation. Further, Sohn et al. demonstrated histological evidence of new bone formation in human maxillary sinuses with sinus membrane elevation alone and simultaneous implant placement. New bone formation without additional bone graft in the maxillary sinus was demonstrated radiographically and histologically. The benefit is a large and dense polymerized fibrin block with a liquid phase containing the GFs, white blood cells and stem cells waiting for stimulation and to differentiate into specialized cell types. A lower red portion comprising a viscous, dense, and platelet-rich coagulation. The phases and their components are serum, fibrin buffy coat, GFs, and stem cells. Serum is the lightest and most liquid part of blood, clear, and straw yellow in color is fibrin-free and has few cells. It is fundamental for the technique as it is able to amalgamate all the biochemical components and activators. It should be kept cool and mixed quickly to avoid denaturing the proteins. Calibrated centrifugation carried out with the Medifuge phase separator (Silfradent, Italy) polymerizes the FG molecules, the resultant fibrin block comprises three-dimensional polymer networks with interwoven fibers, all collected in a single phase in the form of a gel, the fibrin buffy coat. During polymerization, the fiber diameter grows until the end of the reaction. The development and growth of the fibrin gel block during the centrifugation and especially during the polymerization phase allows for a volume growth of the chains in all directions. In this way, many numerous therapeutic actions result including plasma and platelet cytokines, anti-inflammatory, and pain-killing effects during repair (tumor necrosis factor alpha) and platelets for transmission of the signals and release of the GFs. The most important of these GFs are PDGF-BB, TGFI3-1, and IGF-1. Thus, the result is fibrin gel blocks for use as osseous cavity fillers, autologous membranes, and graft particles may be mixed with the fibrin gel blocks to create greater volume of graft material when needed. The GFs and the stem cells located below the buffy coat and above the dense clot portion. This phase can be aspirated and mixed with autologous bone to obtain an extremely high performance activated graft. In order to obtain the CGF, venous blood is collected from the patient using a 21 × 3/4 gauge butterfly vacuette needle and a vacuum-packed Vacuette 9 ml Z Serum Clot Activator (Greiner bio. one, Austria). Once filled, the test tubes are placed into the Medifuge (Silfradent, Italy) centrifuge accelerator, without shaking the tubes. This permits obtaining more greatly differentiated components directly from the test tube. After 13 min of rotation, the serum is separated from the other phases of the CGF. The fibrin phase is separated and stored for immediate use. The initial portion of the coagulation containing the GFs and the stem cells are immediately stored in the dappen provided. The coagulum, which is rich in red blood cells and platelets, as well as iron, calcium and other fundamental components, is prepared to be used for the preparation of fillers, for mixtures of biomaterials, autologous bone taken for osteotomy or alone without the addition of osseous materials. The fibrin block, separated from the red phase, is prepared to be transformed according to the clinical need: Direct cavity graft, shaped membrane, graft particle to be mixed with biomaterial or living autologous bone. A specific process is necessary to obtain an autologous CGF graft for large cavities. In this case, the fibrin block is cut into particles of approximately 1–2 mm while the clot is fragmented and mixed with the fibrin particles, fresh blood, and further graft material (ideally autologous bone) may be added. To increase the softness of the mixture, some serum can be added. This is mixed and homogenized mechanically in the specific RoundUp device (Silfradent, Italy) for approximately 6 s. This dense and adhesive paste is inserted into the osseous cavities or defects and is extremely moldable. CGF membranes are used to cover wounds or reconstructed areas, which stick together due to their adhesive power and their elasticity permits them to be sutured. 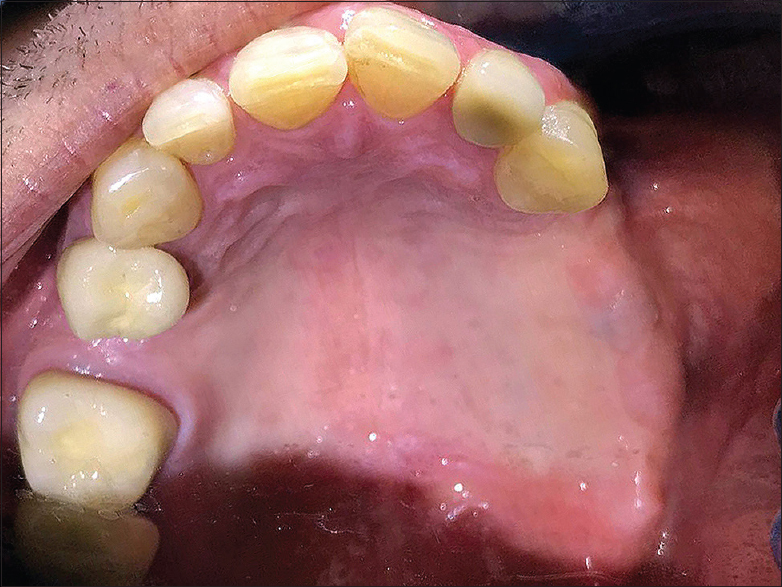 A 47-year-old male patient presented for consultation for implant placement in the posterior left. The patient indicated the posterior teeth had been missing for a number of years and were extracted due to unrestorable caries. He further indicated he had tried a removable prosthesis but was unable to tolerate this due to gagging issues. Review of medical history noted patient diagnosed as type 2 diabetic at the age of 28 years and has been on daily insulin since that diagnosis and has HBP, high cholesterol which are controlled by medication. The patient indicates he is a smoker (1 pack daily) and consumes alcohol daily. Clinical examination noted the upper right 2nd premolar, upper left 1st and 2nd premolars and 1st and 2nd molars missing as well as the maxillary 3rd molars. A cone beam computed tomography (CBCT) was taken, and enlargement of the left maxillary sinus was noted with crestal resorption of the residual bone leaving inadequate height of bone to accommodate implants without sinus augmentation [Figure 1]a and [Figure 1]b. The residual ridge presented with adequate width to accommodate implants replicating the missing teeth in diameter [Figure 1]c. Discussion with the patient as to what treatment could be performed to replace the teeth missing in the upper left quadrant. The patient was adamant regarding a fixed approach due to his history with a removal prosthesis. 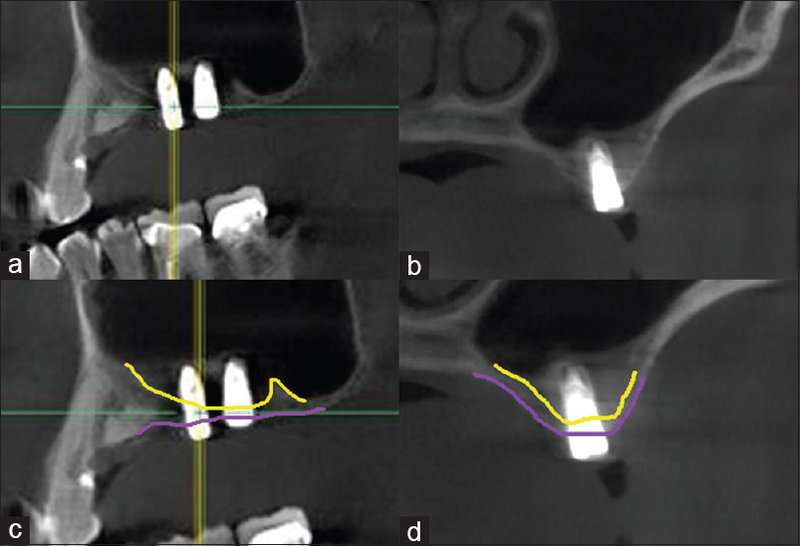 The treatment plan the patient accepted would involve sinus augmentation with simultaneous implant placement at the 2nd premolar and 1st molar sites in a two-stage approach. Ridge grafting would be performed to correct the deficient buccal at the 1st premolar, and an implant would be placed there at a subsequent appointment. Following an adequate healing period of 4–6 months to allow the sinus graft to coalesce an additional implant would be placed and the implants allowed to further integrate, they would then be restored with fixed prosthetics. The patient presented and informed consent was signed. Local anesthetic was administered (6 carpules 2%Lidocaine with 1:1,000,000 epinephrine). Blood was drawn from the patient to fill six 10 ml VACUETTE ® Z Serum Sep Clot Activator tubes (red top) (Greiner Bio-One, NA, Monroe, NC, USA). The VACUETTE ® Z Serum Sep Clot Activator tubes have a special coating on the internal wall of the tubes containing microscopic silica particles activates clotting and allows fibrin clot formation following centrifuging the tube. The resulting clot is rich in CGF. A Medifuge/Silfradent centrifuge unit (Young's Dental, Cerritos CA, USA) was utilized on the blood tubes collected to prepare the CGF and Fibrin cloth/buffy coat. Fibrin cloths were not squeezed to retain as much volume as possible in each fibrin clot. An incision was made at the crest sparing the papilla distal to the canine and continuing to the tuberosity using a #15 scalpel blade. Vertical releasing incisions were made at both ends of the crestal incision, and a full-thickness flap was elevated with a periosteal elevator to expose the lateral wall of the ridge inferior to the zygomatic process. A Sonic Surgeon 300 Piezo Surgery unit (Dong IL Technology Ltd., Seoul, South Korea) with a Sohn Saw L and R tip (One Point Medical, Heath, OH, USA) was utilized to outline a window 10 mm × 20 mm on the lateral wall of the sinus with its inferior 5 mm superior to the crest placing it above the sinus floor [Figure 2]a. The osseous window was carefully elevated off the sinus membrane to prevent tearing the membrane and placed into a sterile dish filled with CGF liquid obtained from the white tube. Blunt instruments were next utilized to elevate the Schneiderian membrane across the sinus floor continuing across the medial wall of the sinus and the superior aspect of the sinus [Figure 2]b and [Figure 2]c. Osteotomies were prepared through the crest at the 2nd premolar and 1st molar sites while holding the sinus membrane in a superior position to avoid potentially tearing it with the osteotomy drill. Two 4.5 × 11.5 UF (II) implants (Dio USA, Los Angeles, CA, USA) were placed into the osteotomies created and cover screws inserted into them [Figure 2]d. The CGF buffy coat membranes were then placed around the implant bodies projecting into the sinus, packing them on the medial aspect and above each implant until the entire area around the implants was filled with CGF membranes [Figure 3]a. The previously removed osseous window was repositioned in its prior position on the lateral aspect of the ridge [Figure 3]b. A 20 mm × 30 mm piece of pericardial membrane (Maxxeus Dental, Kettering, OH, USA) was placed over the osseous window due to its longer resorption rate that would prevent soft tissue ingrowth from the overlaying soft tissue into the sinus graft [Figure 3]c. The soft tissue was repositioned and fixated with 4-0 coated nonabsorbable PTFE suture (HSI Suture, Henry Schein Dental, Melville, NY) on a 3/8 circle needle in a continuous suture pattern [Figure 3]d. The patient was appointed for a 1-week postoperative check and was dismissed. 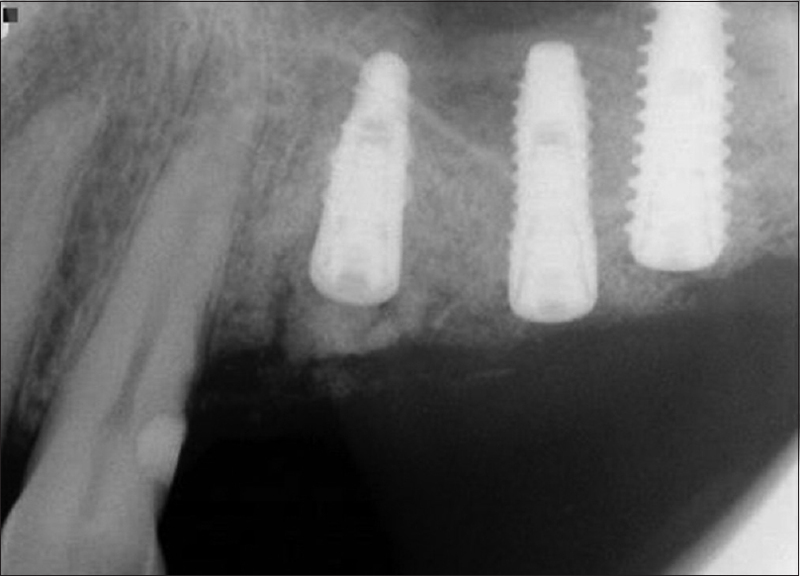 A periapical radiograph was taken to document the implants and sinus [Figure 4]. The patient presented for the 1st postoperative check and indicated minor discomfort and soreness in the surgical area. The patient was instructed to use warm salt water rinses 2–3 times daily and return the following week. The patient presented for the 2nd postoperative check, and it was noted that the incision line was not fully closed and sutures were left in place. Three weeks following surgery, the patient returned for his 3rd postoperative check and incision line closure was noted, and sutures were removed. At the 1-month postoperative, check soft-tissue healing was evident without inflammation present and the incisions blended with the surrounding tissue [Figure 5]. 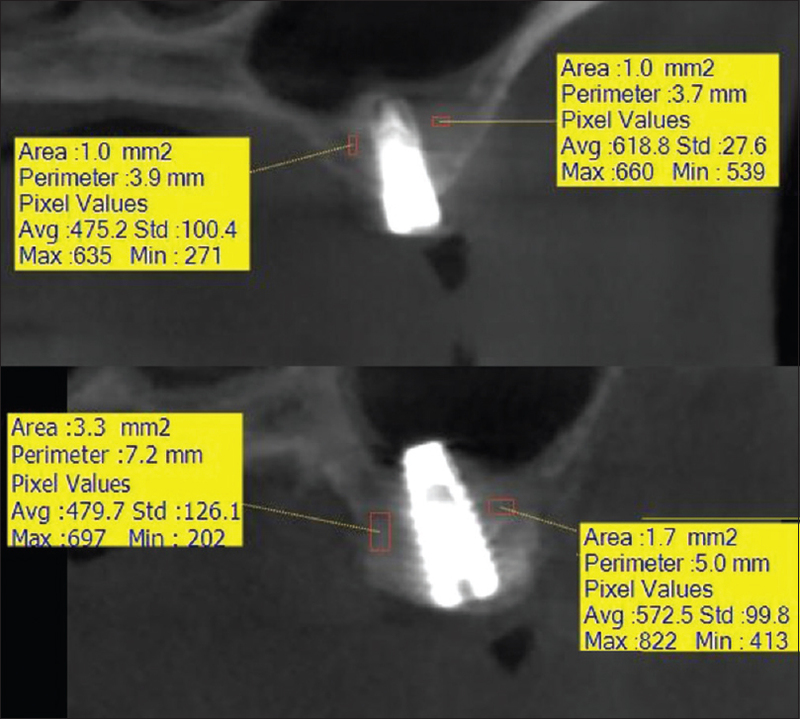 The patient presented 3 months' postsinus grafting and simultaneous implant placement, and a CBCT scan was taken to check bone volume and density around the implants [Figure 6]a and [Figure 6]b. Analysis demonstrated that use of CGF alone as a sinus graft material at 3 months' postoperative bone volume was significantly greater than before surgery [Figure 6]c and [Figure 6]d. Bone density as measured in Hounsfield units demonstrated at the premolar site greater density on the lingual side of the implant as expected due to the denser palatal bone present. A lower value indicating low bone density in the graft on the buccal was noted [[Figure 7] top]. When the molar was viewed in the coronal plane, the density of the buccal was a negative value indicating no real density in this area of the graft [[Figure 7] bottom]. The assumption could be that the graft had not organized in this area resulting in the low value, but at 3 months postoperatively low values are not uncommon. At the 6-month postoperative appointment, a follow-up CBCT was taken to check graft density that would indicate how well the graft had organized and converted to bone. The coronal plane at the premolar demonstrated a significant increase in density as observed by the increase in Hounsfield units measured on the buccal grafted area (67–539) [[Figure 8] top]. This was more evident on the buccal aspect of the molar which increased from a - 119–413 Hounsfield units demonstrating the CGF graft alone was able to produce bone of adequate density around the implants [[Figure 8] bottom]. An additional implant was placed at the 1st premolar site, and additional healing will follow before restoring the three implants in the quadrant. A periapical radiograph was taken following site closure demonstrating bone formation in the sinus where the CGF grafting had been performed at implant placement at the 2nd premolar and 1st molar sites [Figure 9]. Sinus augmentation is frequently needed for implant placement in the posterior maxilla when the area has been edentulous for a period allowing enlargement of the sinus and simultaneous crestal resorption. Various grafting products have been employed over the past 50 years to augment the sinus and allow implant placement. These have consisted of allografts, xenografts, and synthetic materials. As blood biology has grown in use with regard to grafting using the patients, own blood to supply GFs, and other patient-derived products, grafting has improved the clinical results we are able to achieve. These blood-derived products have been mixed with packed osseous graft materials help improve the quality and quantity of the resulting graft following healing. However, as the case presented here demonstrates graft maturation as evidenced by density can be achieved using CGF alone with no added osseous graft materials. The benefit of this approach is no issues with the potential of a patient reaction to the packaged osseous graft material that are typically used, and cost of treatment is reduced as packaged products are not utilized in the sinus augmentation procedure. The authors feel that in diabetic patients and those with a compromised immune system and smokers use of CGF alone as a sinus augmentation material decreases potential issues with reaction to particulate graft materials. In addition, those type patients have a higher risk of infection and implant failure, and this technique may improve clinical results and success. Tatum H Jr. Maxillary and sinus implant reconstructions. Dent Clin North Am 1986;30:207-29. 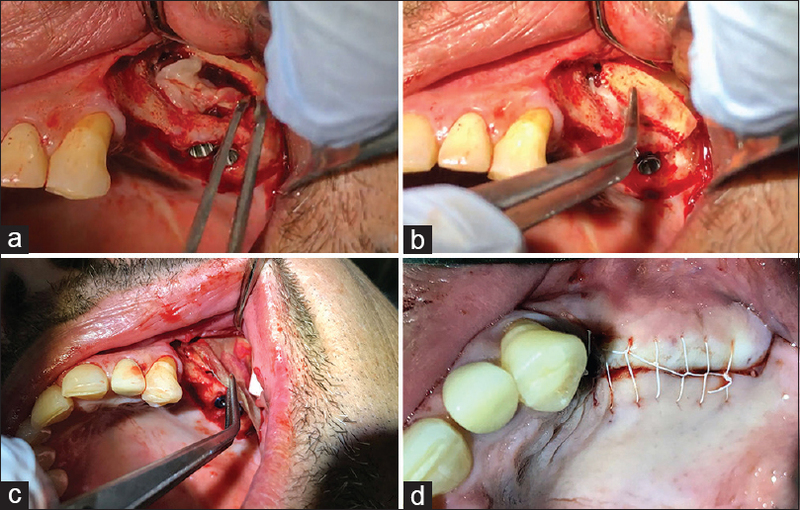 Blomqvist JE, Alberius P, Isaksson S. Two-stage maxillary sinus reconstruction with endosseous implants: A prospective study. Int J Oral Maxillofac Implants 1998;13:758-66. Valentini P, Abensur DJ. 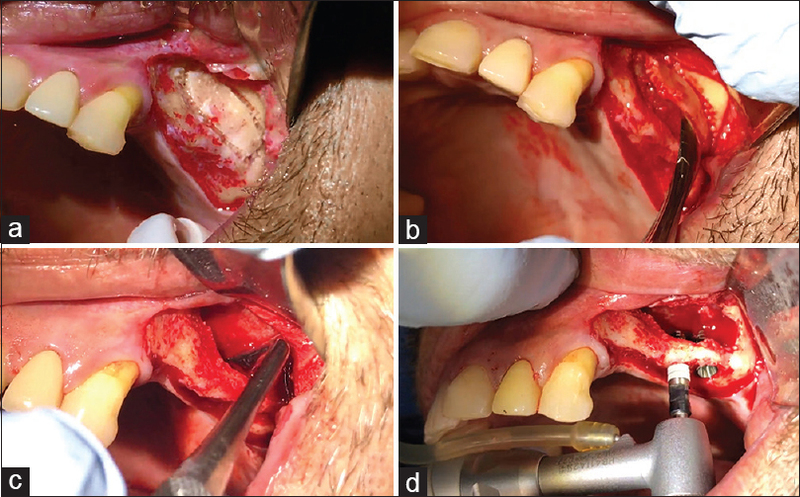 Maxillary sinus grafting with anorganic bovine bone: A clinical report of long-term results. Int J Oral Maxillofac Implants 2003;18:556-60. Tong DC, Rioux K, Drangsholt M, Beirne OR. A review of survival rates for implants placed in grafted maxillary sinuses using meta-analysis. Int J Oral Maxillofac Implants 1998;13:175-82. Kassolis JD, Rosen PS, Reynolds MA. Alveolar ridge and sinus augmentation utilizing platelet-rich plasma in combination with freeze-dried bone allograft: Case series. J Periodontol 2000;71:1654-61. Lemos CA, Mello CC, dos Santos DM, Verri FR, Goiato MC, Pellizzer EP, et al. Effects of platelet-rich plasma in association with bone grafts in maxillary sinus augmentation: A systematic review and meta-analysis. Int J Oral Maxillofac Surg 2016;45:517-25. Choukroun J, Diss A, Simonpieri A, Girard MO, Schoeffler C, Dohan SL, et al. Platelet-rich fibrin (PRF): A second-generation platelet concentrate. Part V: Histologic evaluations of PRF effects on bone allograft maturation in sinus lift. Oral Surg Oral Med Oral Pathol Oral Radiol Endod 2006;101:299-303. Tatullo M, Marrelli M, Cassetta M, Pacifici A, Stefanelli LV, Scacco S, et al. Platelet rich fibrin (P.R.F.) in reconstructive surgery of atrophied maxillary bones: Clinical and histological evaluations. Int J Med Sci 2012;9:872-80. Tajima N, Ohba S, Sawase T, Asahina I. Evaluation of sinus floor augmentation with simultaneous implant placement using platelet-rich fibrin as sole grafting material. 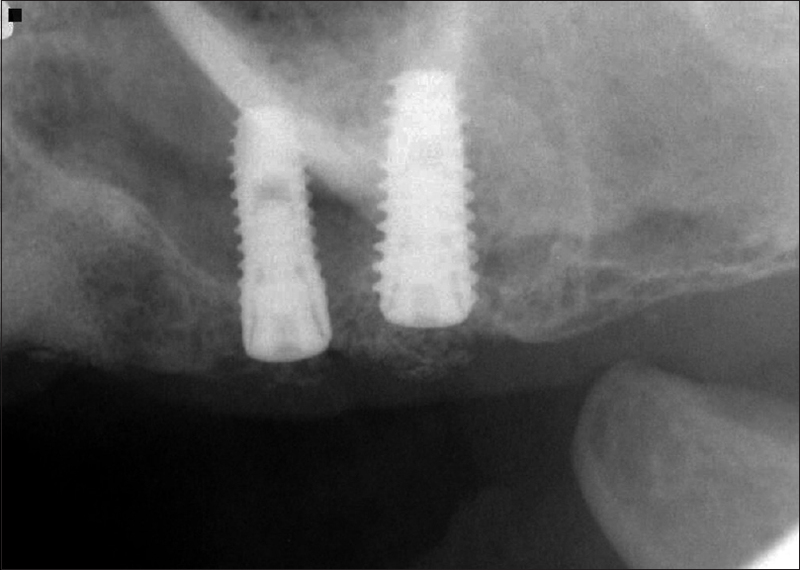 Int J Oral Maxillofac Implants 2013;28:77-83. Mansour P, Kim P. Use of Concentrated Growth Factor (CGF) in implantology. Australasian Dental Practice 2010;21:162-76. Kim TH, Kim SH, Sándor GK, Kim YD. Comparison of platelet-rich plasma (PRP), platelet-rich fibrin (PRF), and concentrated growth factor (CGF) in rabbit-skull defect healing. Arch Oral Biol 2014;59:550-8. Lundgren S, Andersson S, Gualini F, Sennerby L. Bone reformation with sinus membrane elevation: A new surgical technique for maxillary sinus floor augmentation. Clin Implant Dent Relat Res 2004;6:165-73. Palma VC, Magro-Filho O, de Oliveria JA, Lundgren S, Salata LA, Sennerby L, et al. Bone reformation and implant integration following maxillary sinus membrane elevation: An experimental study in primates. Clin Implant Dent Relat Res 2006;8:11-24. Sohn DS, Lee JS, Ahn MR, Shin HI. New bone formation in the maxillary sinus without bone grafts. Implant Dent 2008;17:321-31.